The Physicians at Spine Pain Diagnostics Associates are uniquely qualified to diagnose a multitude of acute and chronic pain problems. 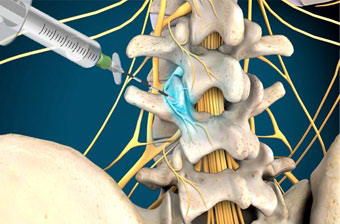 Using the latest minimally invasive techniques and therapies, they are able to pinpoint the cause of your pain and develop a treatment plan that specifically for each patient. Minimally invasive injections performed under fluoroscopy (live X-ray) that reduce inflammation and relieve pain. These injections can be both diagnostic and therapeutic. 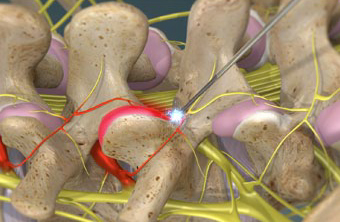 A minimally invasive therapeutic procedure that uses a specially designed probe to cauterize nerves that carry pain signals. 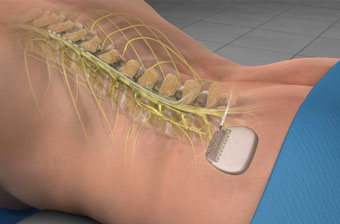 A minimally invasive implantable medical device that uses electrical stimulation to interrupt pain signals. This unique drug-free therapy involves a 3-5 day trial period before the device is implanted. This minimally invasive outpatient procedure involves creating a hollow cavity inside the vertebral body and then placing bone cement into the vertebrae to relieve pain caused by a vertebral compression fracture.